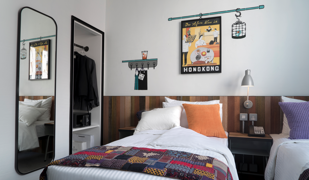 Soravit Hotels unveiled its very first hotel concept, attitude on granville, a playful boutique Hotel featuring the themes of Tsim Sha Tsui and Old Hong Kong. 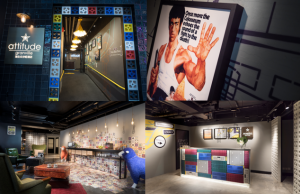 Conceptualized by Alexander Fu, Vice Chairman and CEO of Soravit Hotels and designed by renowned Oval Partnership, Attitude is inspired by the early 70’s and 80’s scenes of old Hong Kong. 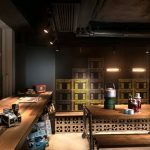 Upon arrival at the hotel lobby, your eyes can’t help but be drawn to the creamy white local public housing walls, vintage letterboxes, retro pay phones and an adjoining chic internet corner, while the reception desk is made out of local market plastic crates, adding a touch of nostalgic throw back for guests. 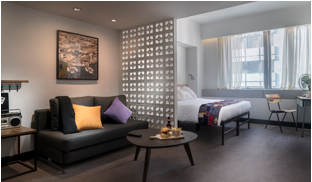 The art, décor and ambiance throughout the hotel will have guests reliving with that classic, good old yesteryear in present day Hong Kong. 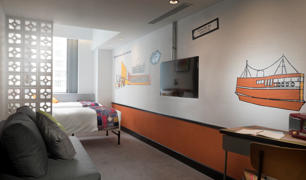 Each of the 15m² Urban Double or Twin room has been individually designed in a twisted nostalgic style by the hotel’s appointed artist. All the furniture is handcrafted to give the rooms a rustic glow. Offering a space of 22 m², Cozy Rooms are fully equipped with king-size beds that can be twinned, writing desks, high speed wireless internet access and LED TVs. The 25 m² Elites are spacious with separated seating. Enjoy a great night’s sleep in either a king-size bed or one of two single beds. These rooms also include 2-seat sleeper sofas which make them ideal for a family of up to 2 adults and 2 kids. 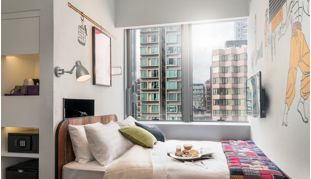 These spacious Studio King/ Twin Suites each measuring 35 m² are open-plan in design with separate sleeping and lounge areas featuring large windows with charming views of Granville Road. These rooms also provide double pull-out sofa beds which perfectly accommodate families with children.